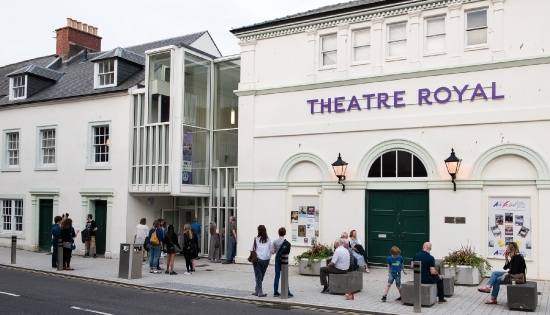 The Theatre Royal Dumfries is the oldest working theatre in Scotland. 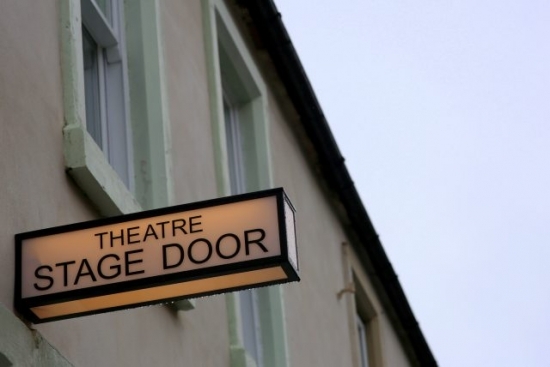 Built in 1792 after funds were raised by public subscription, the Theatre opened its doors on the 29th September 1792. 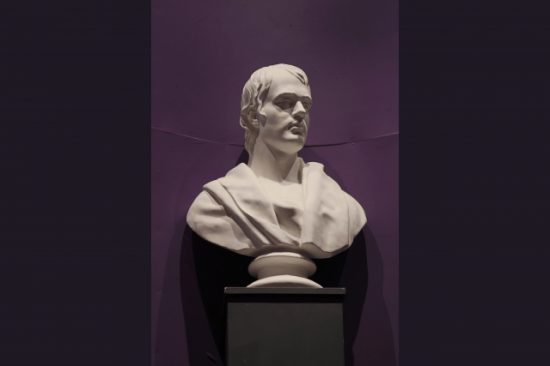 The theatre has a long and storied history, including visits from such famous faces as Robert Burns, J. M. Barrie and even Charlie Chaplin and Stan Laurel. It has seen use as a theatre, music hall, cinema and at one point, a roller skating rink. 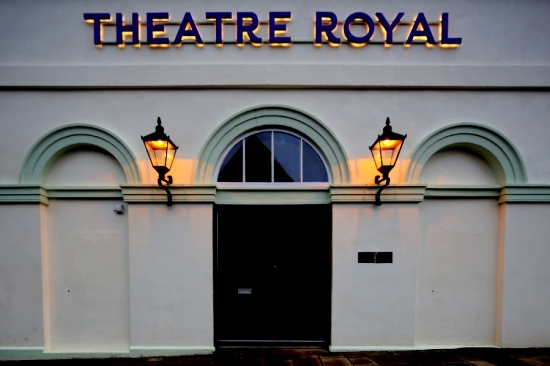 After the closure of the cinema in 1954, the Theatre Royal lay vacant until it was purchased by the Guild of Players in 1959. 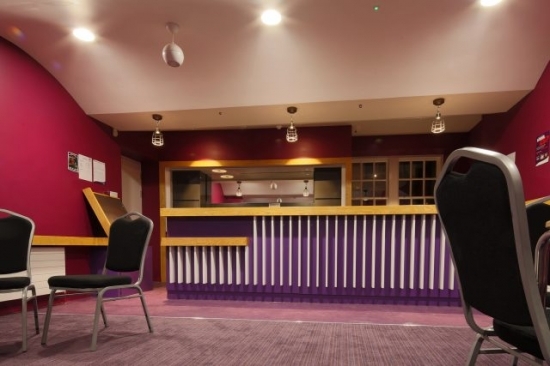 After returning the building to use as a theatre, the Guild continued to make improvements to the building and its facilities. 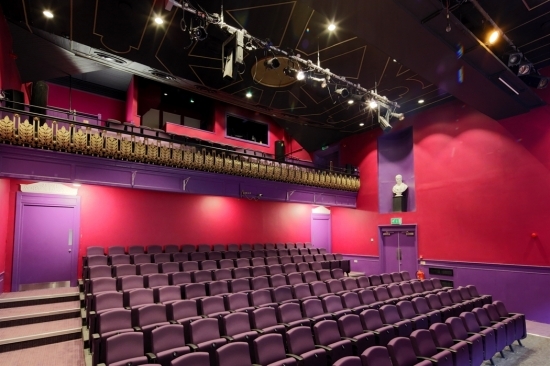 The most recent changes were made from 2013-15 when the building was refurbished and expanded, creating a more modern theatre for the 21st Century. Today the Guild continue to put on their regular season of plays, including their annual Christmas pantomime, while also welcoming an expanded programme of touring shows from all around the world. 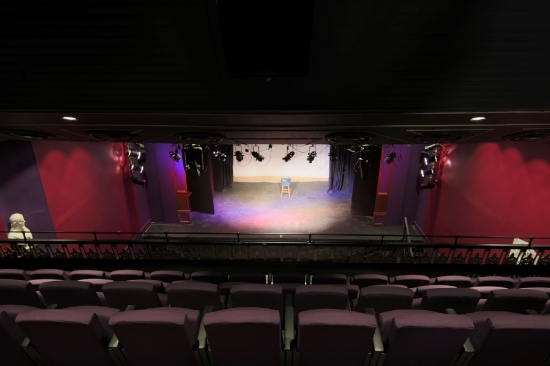 The theatre is also home to several other local groups, providing facilities for dance and theatre schools, writers workshops and the occasional festival. 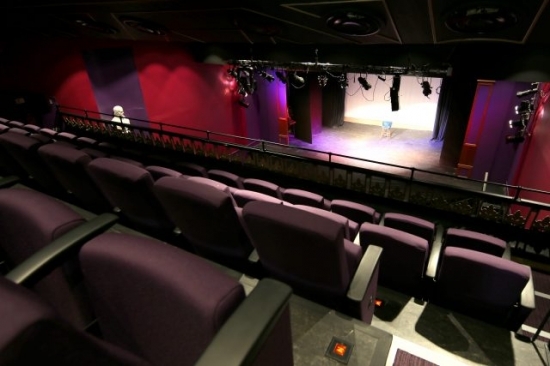 The main auditorium has 190 seats; there is also a Studio that can accommodate 60, a bar and two smaller rooms available for hire. 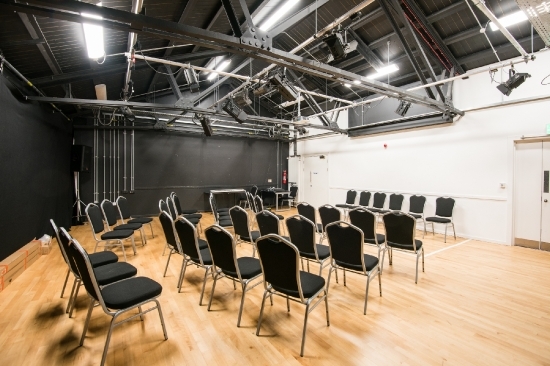 Perfect for performances of all sorts, keynote presentations, and even film screenings. Seats 190 + 5 wheelchair spaces. Please note that the balcony is not wheelchair accessible. Our studio has sprung hardwood floors for dance, a mirrored wall (which can be blacked out for a more intimate studio feel), and a full theatrical lighting rig and sound system. Perfect for poetry readings, dance classes, or celebrations. Seats 60. 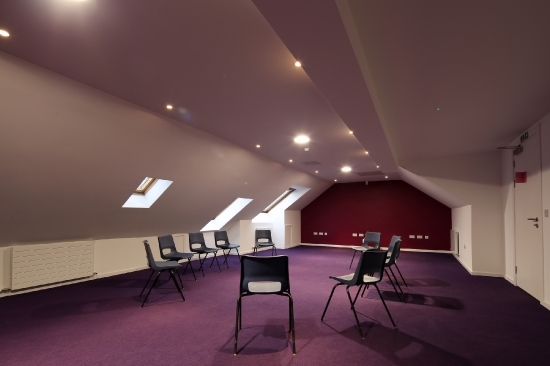 The Youth Studio offers a more casual space for hosting meetings and smaller events, with its barn ceiling lending it a modern feel. Perfect for children's activities, board retreats, and breakout groups. 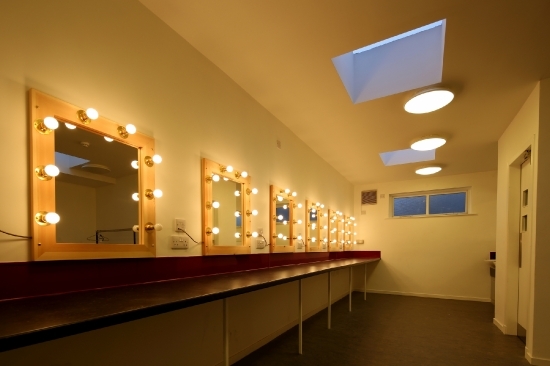 Dressing Rooms: The Theatre has two large dressing rooms and one medium room fully equipped with illuminated mirrors and costume rails. Our dressing rooms come with ensuite facilities and are wheelchair accessible. Wardrobe: Our spacious wardrobe can accommodate a large array of costumes and props, with facilities for maintenance and upkeep during productions. 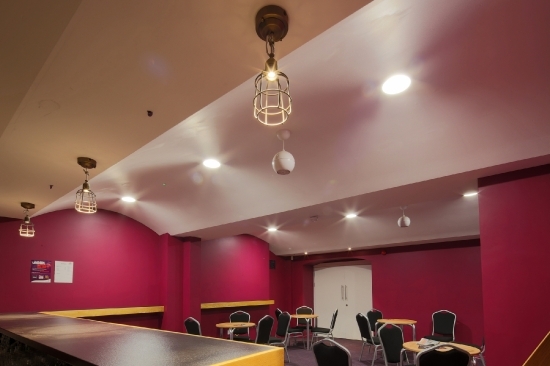 Guild Room: This multi-purpose room functions as a green room, and can be used for hosting pre-show events or as an additional dressing room. The Guild Room also contains a small kitchenette for food and drink preparation and storage.